If you use adhesive to install your soundproofing products, you need a premium soundproof construction adhesive that will do the job and do it permanently. For a construction adhesive for soundproofing you can rely on, Soundproof Cow recommends PL® Premium Construction Adhesive. The polyurethane in this premium adhesive product is safer than the average adhesive and allows for superior performance. You’ll appreciate our PL® Premium Construction Adhesive whether you’re an old hand at soundproofing construction or you’ve never done it before. It doesn’t matter whether you’re applying your soundproofing material inside or outside, and it can attach to virtually any material. This amazing construction adhesive is three times more powerful than the average adhesive and lasts as long as your soundproofing does. It’s repositionable, weatherproof and simple to use. Don’t be afraid to use PL® Premium Construction Adhesive to apply soundproofing to drywall, metal, wood, bricks, OSB, concrete or masonry. It sticks to just about everything and works with most Soundproof Cow products, including our Udderly Quiet™ line of Studio Foams, Acoustic Foam Panels and Quiet Barrier™ Foam Composites. If you have a big soundproofing construction job, one 10.2-ounce tube of our PL® Premium Construction Adhesive may not do the trick. 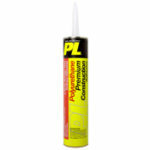 To be safe, order one or more cases of 12 tubes of PL® Premium Construction Adhesive. You’ll get a better value and always have plenty of construction adhesive for soundproofing on hand when you need it. PL® Premium Construction Adhesive is a polyurethane adhesive that provides superior results and is safer to use than ordinary adhesives. It generates three times the power of traditional construction adhesives, may be used inside or outside and will last as long as the surfaces it joins together. Temperatures below 40° F may cause slower cure rate. To ensure positive adhesion, make sure the surfaces to be joined are clean and free of dirt and foreign material. Cut the smallest opening possible in spout (just large enough so adhesive can flow easily when gunned). Because of PL® Premium’s unusual strength, much less adhesive is needed compared to traditional construction adhesives. Place cartridge in caulking gun and puncture seal inside spout with nail. Apply by forcing adhesive onto surfaces. When working on rough surfaces, use enough adhesive to fill gaps. PL® Premium will bridge up to 3/8 in. Use mechanical fasteners to hold the surface in place until the adhesive fully cures. Drying time may vary, depending on the humidity and porosity of the materials bonded together. PL Premium’s reactive nature allows the formation of high strength bonds quickly. 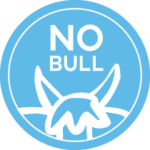 Many applications will develop full strength in less than 24 hours. Material may be repositioned up to 30 minutes without losing adhesive strength. It is highly recommended that gloves be worn as cured PL Premium is difficult to remove from skin and clothing. Immediately after use, clean up spills with mineral spirits following solvent manufacturer’s precautions.